Signed copy. 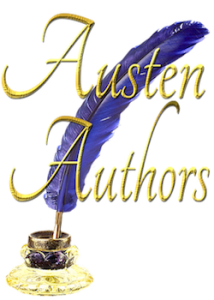 Please add the name of the person to whom you would like the book signed to the Notes field on the checkout page. Orders without a name will not be processed. 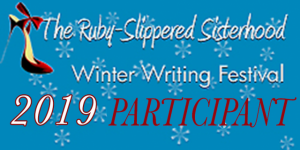 Price includes shipping and tax; if you are local to Ashtabula County, Ohio, you can arrange to pick the book(s) up in person. What would you do to find a missing sister and restore your family? Stock car driver Will Darcy and his wife Liz are enjoying their honeymoon during the off-season. They have faced angry relatives and life-threatening on-track incidents and come out unscathed. However, Will’s sister, Georgie, has changed from a loving and obedient girl to an angry and rebellious teen. 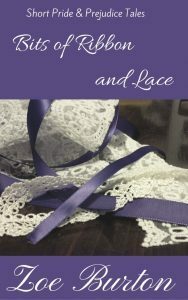 When she runs away, Will and Liz must cut their honeymoon short to return home to help in the search. 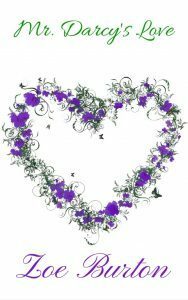 When Georgie is seriously injured in a terrible car accident while on the run, the couple does everything they can to help her. 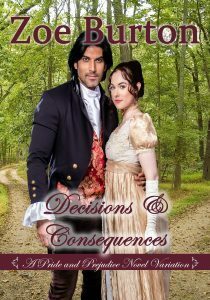 Will she be receptive, or will Will and Liz be forced to let her fail? 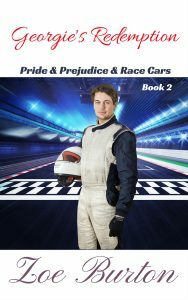 Georgie’s Redemption is the second book in Zoe Burton’s Pride & Prejudice & Racecars series. 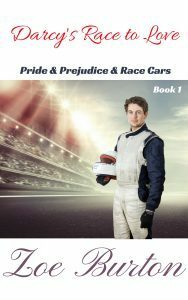 If you like sweet romance, loving couples, and fast cars, this modern adaptation of Pride & Prejudice is for you. Grab your copy and race to the checkout line now. This 18,391 word novelette is 98 pages in print.